Cinematography: M. David Mullen, A.S.C. 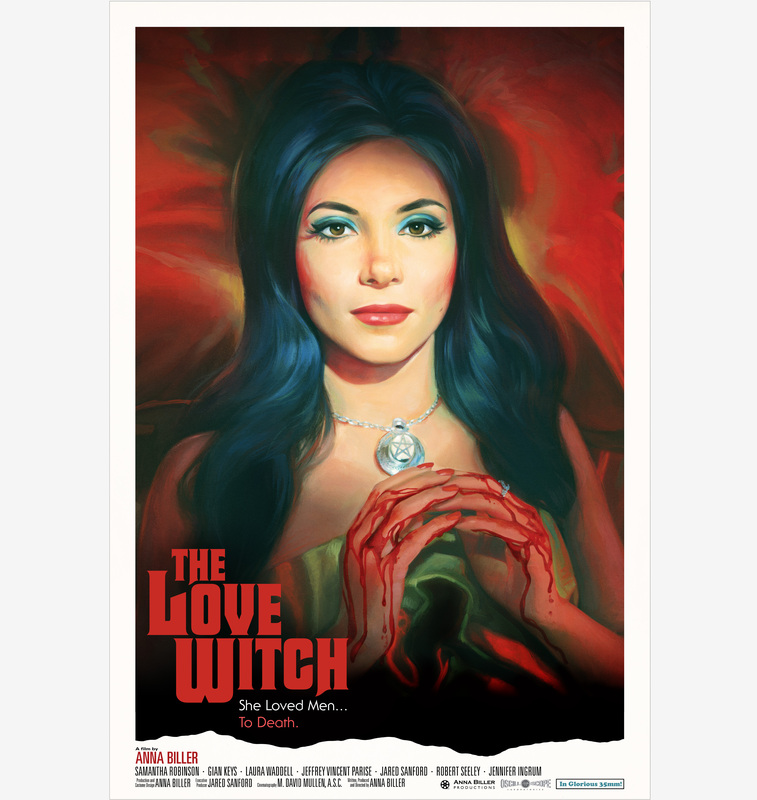 A modern-day witch uses spells and magic to get men to fall in love with her, in a tribute to 1960s Technicolor thrillers. I wanted to make a movie about a witch, because I think that every woman is made to feel like a witch by the men who don’t understand her: that is, mysterious, dangerous, different, abnormal. Elaine, the main character of THE LOVE WITCH, has men constantly freaking out around her because of her sexiness. But they don’t really love her, and this makes her feel lonely and alienated. So she takes her revenge. It’s a fun movie in that I went all the way with my cinema fantasies, going deeply into the visual world of an iconic witch, but it’s also a realistic portrait of a pathological narcissist. Elaine is monstrous, wreaking havoc wherever she goes, but she is also sympathetic, because she has essentially been driven mad by being a woman, and is struggling to find love and acceptance in a world that has disappointed her at every turn.